Tuesday to Sunday at 10:00am. Cancellation up to 4 days before the date of the activity: no charge / Less than 4 days or no show: 100% cancellation penalty. See the most important attractions of Budapest. Enjoy the panoramic view from the hills of Buda and see the main sights on the Pest side. Have a look at the interior of the Parliament with a local guide. After picking you up at your hotel, we will begin the tour in Budapest starting from the Bridge of Chains. We will go to Puente de Margarita, passing next to Buda to finally make a stop in the Barrio del Castillo. Here we will take a short walk to admire the main attractions of the place. We will return to the minibus and continue the tour visiting the Matthias Church and the Fishermen's Bastion, until we reach Mount Gellért (Citadel), where we will pause to contemplate the most spectacular panoramic view of Budapest. Then we will cross the Elisabeth Bridge to Pest to see the famous Central Market, the largest Synagogue in Europe and the City Park. We will see the famous Széchenyi spa, the Budapest Zoological Park and stop at the Heroes' Square (where statues of the famous Hungarian kings and dukes are located). We will take the Andrássy Avenue to return to the center, while we will pass in front of the Opera and the San Esteban Basilica. Then we will get off the bus to visit the interior of the impressive neo-Gothic building that houses the Parliament. 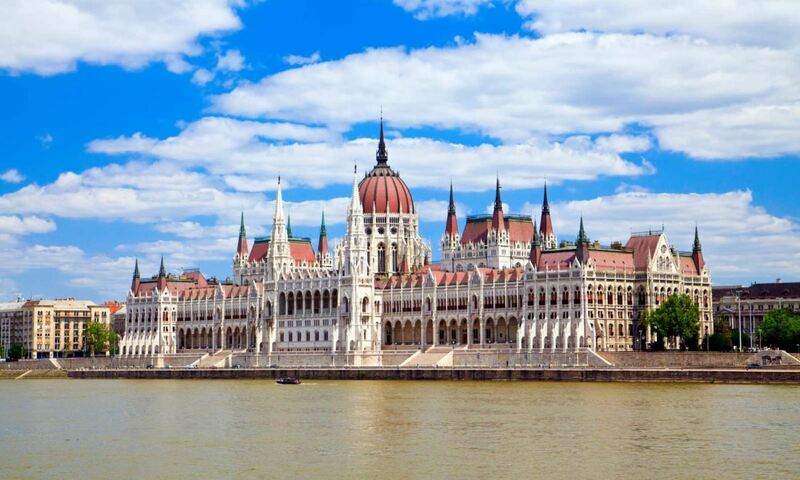 We will take a guided tour to get to know Parliament in depth, one of the most representative monuments of Budapest. You will be ecstatic with this extraordinary place and great architectural beauty, essential in your visit to the city. The tour ends at the end of the guided visit to the Parliament. Due to the different admission fees for EU and Non EU citizens at the Parliament we have different prices for EU and Non EU citizens. Please make sure to choose the right price. Parliament entrance only with valid passport or ID card. Occasionally, the Budapest city tour could take place in two languages simultaneously, in the selected language and a second language. The guided visit to the Parliament will take place with an official guide of the Parliament, exclusively in English. We will pick you up at your hotel in Budapest. Please, provide the hotel details at time of booking. The hotel pick-up begins 30 minutes before the departure of the visit. "La primera vez que realizamos un tour de este tipo y muy buena experiencia." Nos llevaron a lugares que por tu cuenta es más difícil llegar. Además la guía nos fue explicando en todo momento. Cancellation up to 4 days before the date of the activity: no charge & 100% refund / Less than 4 days, late arrival or no show: no refund will be provided. If you need to cancel your booking, please, email us at info@nattivus.com.